Kolkata: Title-favourites Minerva Punjab and East Bengal would walk into their respective matches on March 8, with nothing but a win, in mind. Just before the big day, when every match in the I-League is going to be important in determining who gets the title, Minerva Punjab owner Ranjit Bajaj launched an attack on East Bengal, claiming that the latter had manipulated certain results in the league so far, through bribing. In a complaint to the All India Football Federation (AIFF) Integrity Officer Javed Siraj, Bajaj alleged that the Kolkata giants bribed the coach and some players from Chennai City before their match against Minerva Punjab. He also added that East Bengal’s goalkeeping coach Siddiqui had called up Punjab gaffer Khogen Singh multiple times, offering him bribe so that his team concedes a win to Churchill Brothers on Thursday. But the Red and Golds, unperturbed by all such allegations, have asked for pure evidences to prove such allegations. 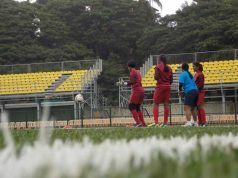 Instead, they were more focused on the immediate work at hand-to beat NEROCA FC at the Salt Lake stadium on Thursday, in order to have any chance of claiming that elusive I-League trophy. 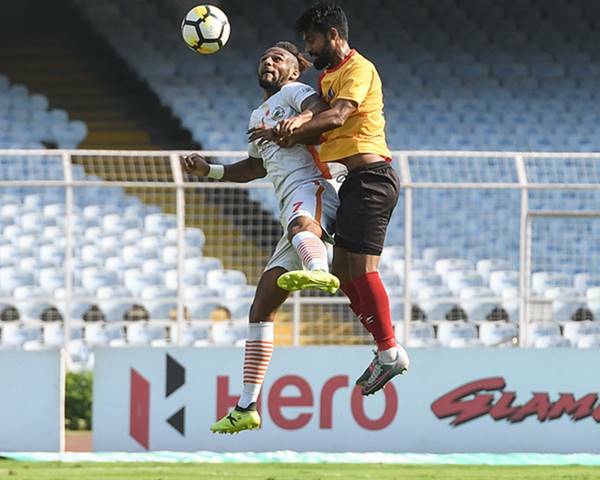 Placed fourth in the 10-team table, East Bengal squandered one of their best chances in the competition so far when they were held to a 2-2 draw at Shillong, despite leading the game 1-0 at half-time. Nothing less than a win, coupled with other favourable results would propel the Red and Golds to their maiden I-League title. Whereas, a win for either Mohun Bagan or Minerva would dampen East Bengal’s hopes of claiming national supremacy. “This is our last match of the season, we are playing at home so we have to be positive. I am not doing any calculation; this is the last game so we have to get three points. Let’s see what happens next. I am only thinking what is under my control. Minerva are at the top of the table, they have the maximum points so they are favourites definitely,” said East Bengal coach Khalid Jamil, at the pre-match press conference on Wednesday. He also added that NEROCA’s is a strong defensive unit and it would need some good finishing from them if they have to pull off a win. “There is no pressure on us. We have to do well in our last match. I am not thinking about pressure. NEROCA are a good team they are also fighting for the championship. They are playing well and are defensively very strong. Our finishing must improve. Lets us see what happens,” added Jamil. 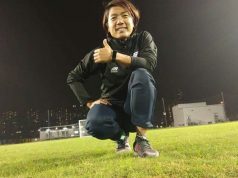 The I-League winning coach also conceded that a few changes might be seen in the playing XI on Thursday. However both the teams would favour Churchill Brothers defeating Minerva Punjab and Gokulam getting the better of Mohun Bagan which makes this clash a title-deciding one. For a team which is playing its first I-League, it might not be easy to be at their best on the final day when everything is on the line. But NEROCA FC coach Gift Raikhan made it clear that they weren’t panicking ahead of their match against East Bengal. “We are not panicking. There is no pressure. We will enjoy the game and look to win. We definitely have ambitions as we are still in with a chance of winning the Hero I-League. But there is no pressure and we have nothing to lose,” he said.